If your purchase didn't arrive instantly, please exit the game and log back in. A fresh connection with the server may speed the process along. If you purchased gems in the web version of the game, please send us an inquiry and attach a receipt for a problematic transaction. 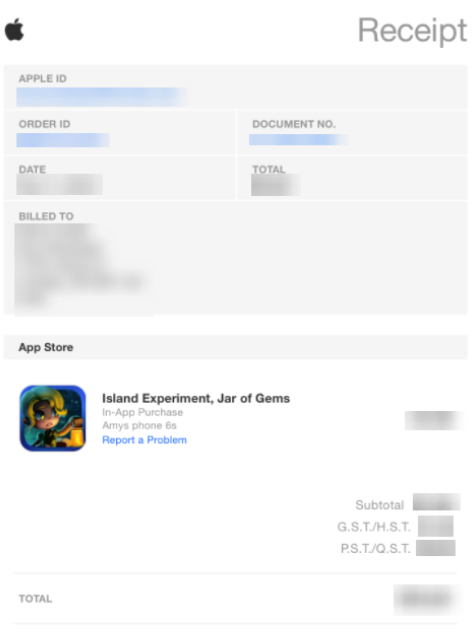 If you purchased gems in the iOS version of the game, please send us an inquiry and attach a screenshot of iTunes receipt for this transaction (you can find it in your e-mail). Receipts come from no_reply@email.apple.com. so you can search it in your mailbox. Alternatively, you can learn how to view your purchase history in this article in the iTunes help center. Please make sure that the date and amount of gems are displayed on this screenshot. 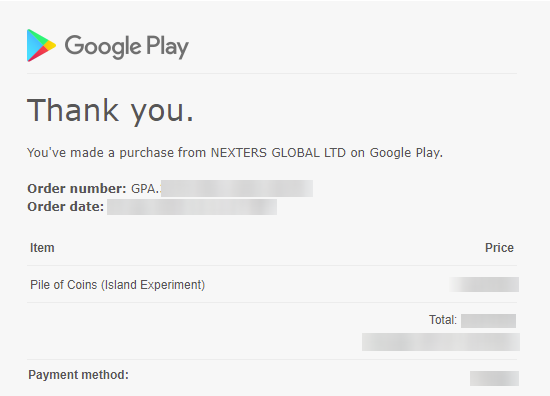 If you purchased gems in the Android version of the game, please send us an inquiry and attach a screenshot of Google Play receipt for this transaction (you can find it in your e-mail). Receipts come from googleplay-noreply@google.com so you can search it in your mailbox.